While the idea of a dermatologist running a sharp blade over your face might be off putting when you first consider it, dermaplaning has quite a few advantages. 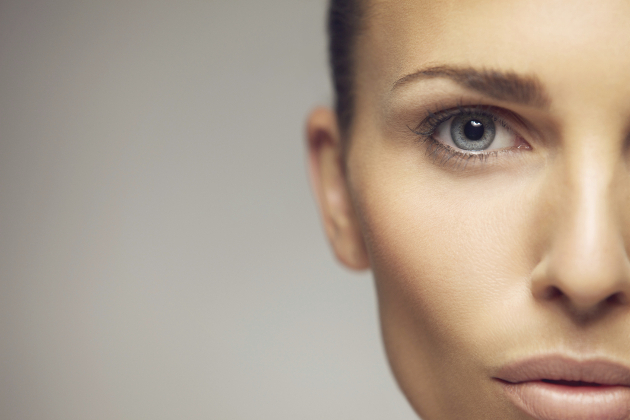 The cosmetic procedure is gaining traction, even though it hasn’t hit the mainstream yet. Before considering it, get familiar with the dermaplaning pros and cons so you can make an informed decision before scheduling the procedure. From its exfoliation benefits to a few downsides and risks, here’s what you need to know about dermaplaning, how it works and what you should expect from it. Making your skin look smoother and helping it absorb cosmetics much faster are among the biggest draws of this procedure. Dermaplaning also removes vellus hairs, or peach fuzz, the fine facial hairs that are usually unnoticeable. One of the most important dermaplaning pros is the fact that it can help exfoliate your skin in a unique way, that makes both cosmetic procedures and product application much more efficient. Gently running the blade over your skin removes dead skin cells very effectively, and this great exfoliation is also recommended for with broken capillaries. If you’re looking to get a laser treatment or a chemical peel, dermaplaning can be an excellent way to prepare your skin for it. Of course, the time needed for the chemical peel to work is shorter than without dermaplaning, since plenty of dead skin cells have already been removed. Getting brighter and smoother skin is definitely one of the most important dermaplaning pros. The procedure has an instant effect and you’ll find that any cosmetic product that you apply on your skin works better, while makeup glides easier than ever before. Dermaplaning can also make a difference when it comes to fine lines, wrinkles, acne scarring, and superficial hyperpigmentation. Unlike more aggressive procedures, like microdermabrasion, dermaplaning has very little downtime, and the side effects include leaving your skin a little red and puffy. In some cases, flaking can occur after 48-72 hours, but once that’s out of the way, you will be left with a glowing complexion. The fact that the procedure basically translates to “shaving your face” can be off putting for many, but it’s also one of the dermaplaning pros. If you’re planning on trying the procedure on your own, you’ll only need an eyebrow razor, which is designed to work on dry skin. Regular blades should only be used on wet skin, so they’re not a good fit. While the advantages of this procedures are attractive, there are also a few drawbacks to dermaplaning, so consider them before taking the leap. If you suffer from rosacea or acne, you should avoid dermaplaning, since it can do more harm than good. You can choose to only get the procedure on areas not affected by acne, but even then, the idea of starting to shave your face can be repulsive for many, and that’s one of the biggest dermaplaning cons. A chemical peel after dermaplaning should be avoided if you have sensitive skin, replaced by a hydrating mask. However, there’s always a risk of skin flaking or peeling in the days that follow the procedure. If you’re going to go ahead with it, remember that there’s always a risk of scrapes or nicks on the skin. That’s one of the major dermaplaning cons, even if you’re choosing a licensed professional. While vellus hair only grow back as soft and thin as they always were, they will grow back in about 4 weeks, and once you’ve gotten used to feeling your smooth skin, you might decide that you don’t want to go back. The issue of cost is not a problem if you take matters into your own hands, but cosmeticians offer this treatment for around $100, so you should either save it for special occasions or budget it as a monthly procedure.